The aesthetics of a Garage Conversion usually start with obtaining a quality match to the existing house Brickwork and Rendering. There’s no better way to see how successful this has been than comparing the before and after photographs. 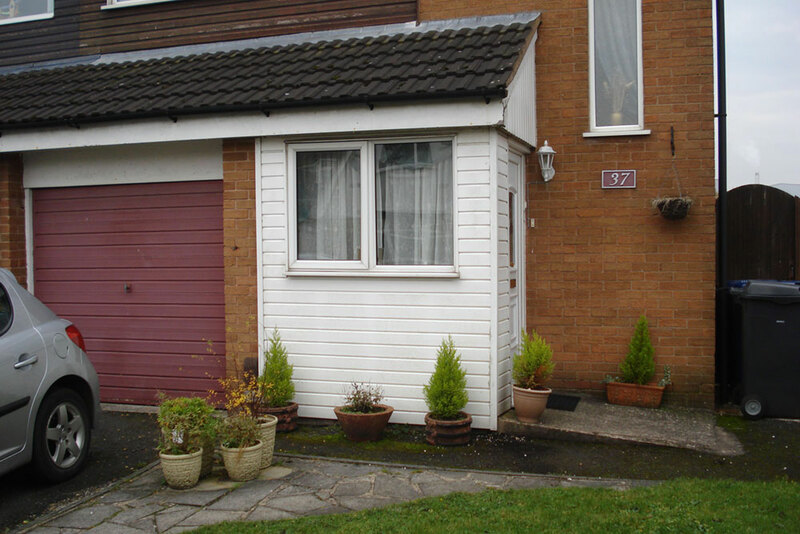 These “Before and After” images are a selection of the Garage Conversions completed by More Living Space. They capture the reason why we have such a high reputation for attention to detail. All of our contracts are professionally brick matched, windows are made to measure, and dimensionally the new front elevation of the conversion is matched to the existing house. Conversion of a Single Garage and rebuild of Timber style Porch and inner Hallway. Front elevation includes new matching brickwork, PVC windows and Composite door with feature glass panel. 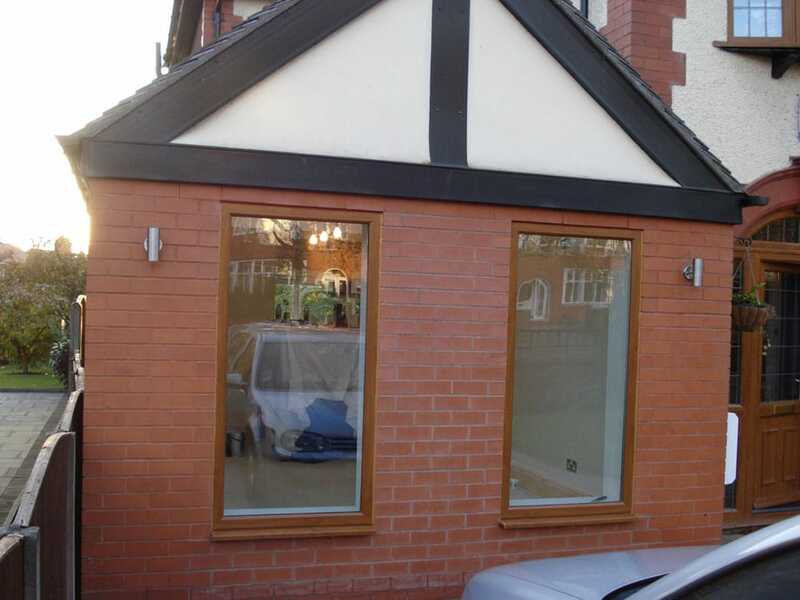 Single Garage Conversion with Tyrolean Render Finish. Conversion of a detached Garage with flat roof. Complete renovation included a double hipped pitched roof fascia board. Internal conversion included double bespoke cupboard and quick Step Laminate Floor. Conversion and extension of the front elevation of this 1950`s property. The conversion included an en-suite shower room, extended hallway, composite front door and new glazed windows with feature Georgian bar. Conversion of a large double Garage into Kitchen and Dining Room. Existing fitted Kitchen was removed from original upstairs location and re-fitted in the new conversion. Note the special render finish which was matched to the existing house “Rough Cast Render” or “Wet Dash Render”. Conversion of single Garage. Front elevation had the feature arch brickwork reduced in size; this ensured the brickwork matched the Window (narrower than the Garage Door). Conversion of Single Garage into Study. Feature brickwork included “soldier course” to match existing front elevation of the House. Conversion of large Single Garage. Velux Roof lights installed to provide extra light, two full height Windows. Double Garage, single conversion. Brickwork reduced on both sides of the Window including soldier course and engineering bricks for perfect match to existing house. Internally the room was split into a Utility room and Study. Single Garage Conversion, Stone Sill and Window with matching Georgian Bar feature. Double Garage with Single conversion. Wood grain PVC window to match existing, special feature brickwork with exact match to house brick. Single detached Garage Conversion. Rendered Finish with French style Doors and timber decking access. Additional work included extending the Garage to link with the House for internal access. Single Garage Conversion. Conversion created a large extended Hallway to form new entrance with high quality Composite Door and matching windows. Existing front door was located at the side of the Garage; new position creates a better first impression and the immediate creation of a large detached house. 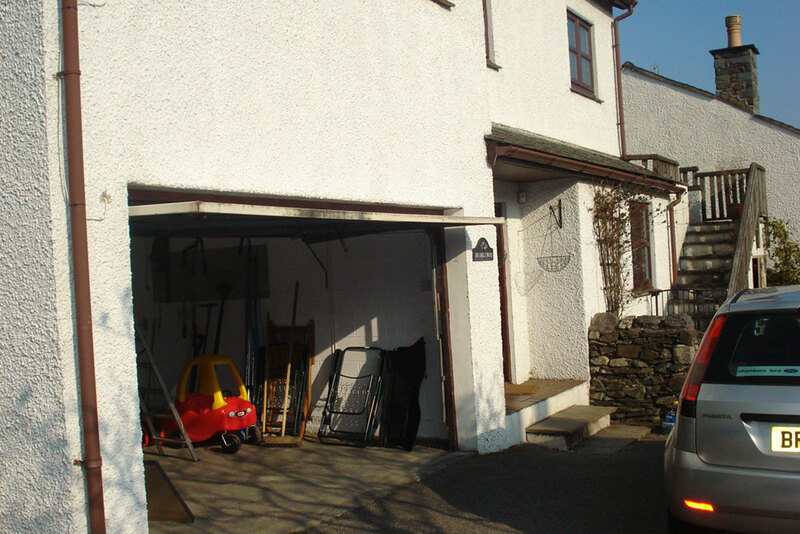 Double Garage with a single Garage Conversion. Brickwork and Sill have been matched exactly to the existing house style creating a classic double fronted detached house. Single Garage Conversion. Brickwork has been toothed out in preparation for the new front elevation. Single Garage Conversion. The front of the Garage has been extended with new “Bay Window” and tiled pitched roof. Front door is a “Rock Door” in Black with chrome fittings. Double Garage Conversion. Conversion into high quality Gym with Shower/Toilet facilities, front elevation has in-line Glass Doors in wood grain finish. Single Garage Conversion. Extended front elevation with new “bay Window” and tiled pitched roof. Window has matching leaded glazing to match existing style. Single Garage Conversion. Front elevation has two integrated brick colours and a Soldier course to provide the classic style. Window design is imitating the original Sash windows, glazing includes Georgian bar. Double Garage Conversion. Traditional Garage with flat roof and variable brick finishes and failed lintels. Conversion into “granny flat” with en-suite and kitchen option. Single Garage Conversion. The conversion includes removal and reduction of the stone effect Lintel, matching Sill and matching window. The result is a perfect transformation from detached house and Garage to a double fronted detached house. Single Garage Conversion. Conversion with “Bow” window in wood grain with feature glazing. Double Garage Conversion. Conversion into large Living room, extended shower room and utility area. Front elevation contains special stepped feature brickwork to match existing and matching windows with special leaded Glass. Double Garage with a single Garage Conversion. Matching brickwork and feature window with Georgian bar. Single Garage Conversion. Traditional semi detached house with extended Garage, converted into bedroom and utility room. Single Garage Conversion with extended Porch/Hallway. Single Garage Conversion with large house extension above the Garage. Extension provided two additional bedrooms and conversion of a bedroom into a shower room. Double Garage Conversion. Conversion into “Granny Flat” with Bedroom, En-suite, Kitchen and Living space. Front elevation has feature brickwork and Hardwood windows to match existing style.